Maternity tops designed to flatter, with a wide variety of affordable options. 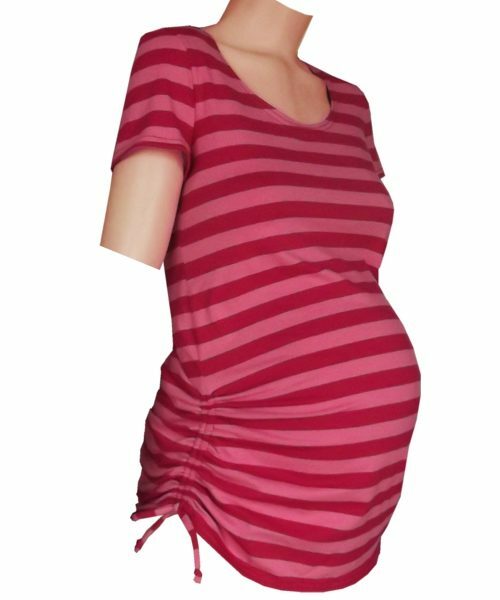 You will feel cool, fresh and comfortable in our variety of summer maternity tops. During your pregnancy, keeping cool on hot summer days can be a challenge. Our range is designed to help you. For your changing preggy shape, we designed everything to enhance, flatter and help you look good during your pregnancy. Our summer maternity Tops include unique adjustable wrap tops. Ruching gathers and crossover maternity styles all flatter your beautiful growing belly. Our Summer Maternity Tops have also been designed to appeal to all tastes and body shapes. We have everything from fitting cuts to flowing styles. You will also find some breastfeeding tops in our range. They work perfectly for pregnancy, and for after pregnancy, where you will need discreet breastfeeding tops. Our range has casual wear and maternity tops that are suitable for a work environment. Evening wear for every fashionable mom to be – most of our summer maternity tops can be accessorised for special occasions too!